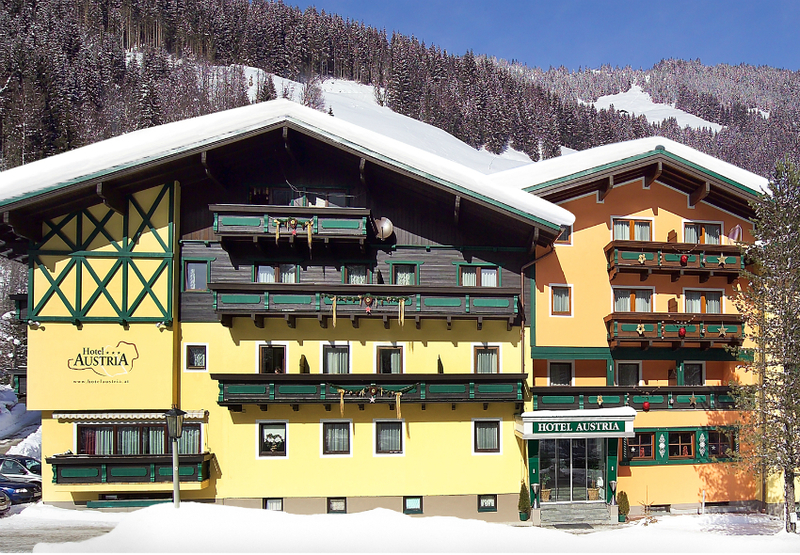 The Hotel Austria offers short stays outside of the high season and is a large, traditional hotel located on the valley road between Saalbach and Hinterglemm. Hinterglemm is closer to the Hotel (around 1 kilometre) than Saalbach (2.5 kilometres) and the ski bus stops outside the Hotel from where it is a couple of stops to get to the Zwolferkogel lift or lifts above Hinterglemm centre. Snow permitting, good skiers can ski back to the rear of the Hotel (not pisted). The hotel has a spacious lobby and reception area, breakfast and dining rooms, hotel bar, lift, ski and boot room (access from the rear of the Hotel, all rooms are allocated their own locker). There is a Cellar Bar that is popular with groups and usually open from 4pm après-ski until late. Free WiFi. 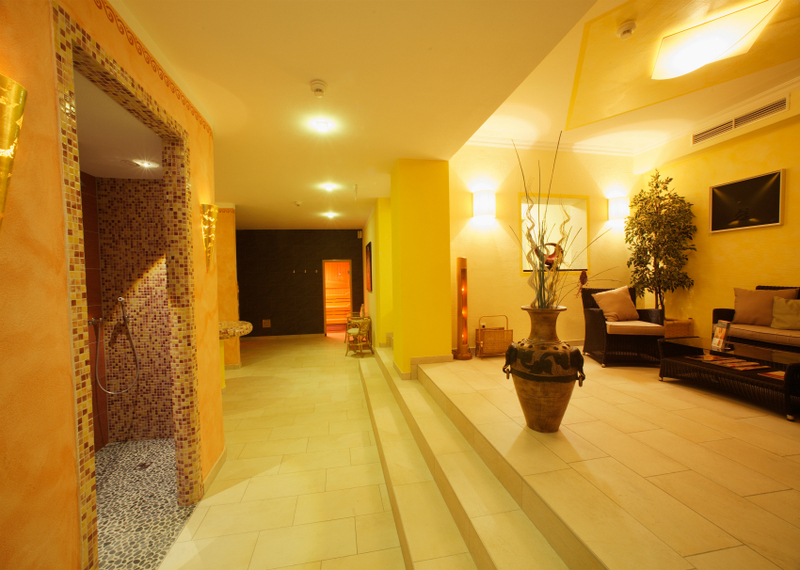 Wellness facilities include an extensive sauna and relaxation area, ‘Chillax’, with a number of different saunas and two relaxation rooms. Please note that the local tourist tax of €2 per person (aged over 15) per night is not included in our rates and is payable locally. The Hotel has 60 rooms in total all of which are ensuite, comfortable and traditionally decorated. 2,3 and 4 bedded rooms are available as are single rooms and some family rooms with 2 or 3 bedrooms. Accommodation is on a half board basis with a hot and cold breakfast buffet and three course evening meal with a choice of main course. 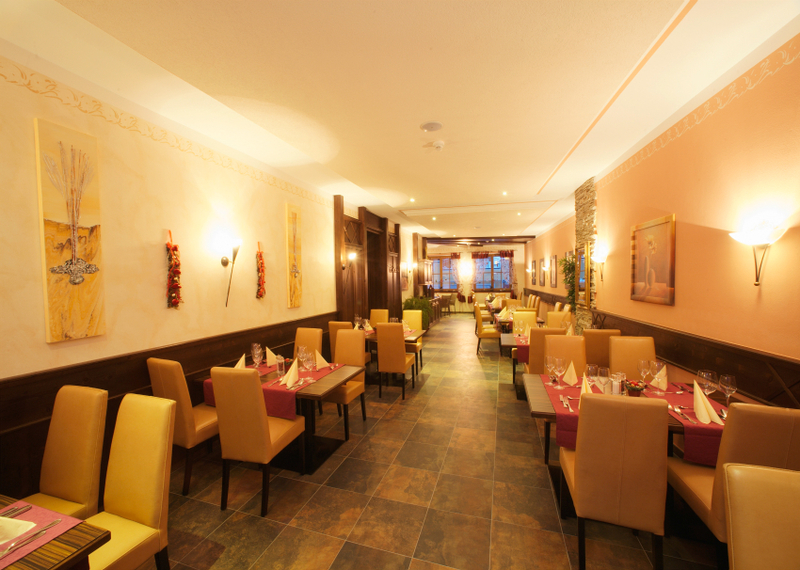 This Hotel is traditionally Austrian and finished to a good standard offering great value for money. With a number of different sized rooms and popular cellar bar, this is a great choice for groups. The ski bus conveniently stops outside the Hotel giving you easy access in to the Ski Circus and flexible stays including weekends (Thursday-Sunday // Sunday-Thursday) are welcome outside of the high season. We have yet to receive any feedback from our guests who have stayed here.